Houston, the ladies have a problem in this episode as they try what amounts to nothing other than problematic candy. A cheeky leprechaun, the not-so-sweet savoriness of gravy candy, and a couple questionably-named treats amount to real problematic candy. Will the ladies give in to the devious desires of naughty candy, or will they be undone by the foulness of candies that should never have been made in the first place? 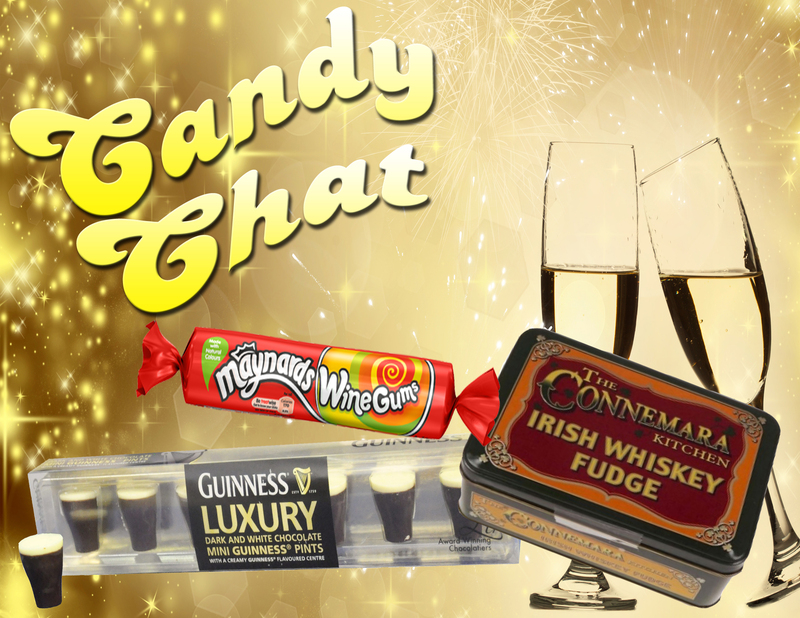 Get the spittoon ready for this troublesome episode of Candy Chat! 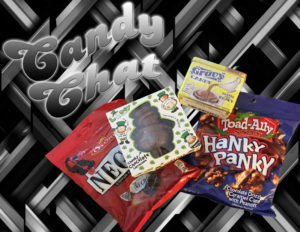 Don’t forget to like Candy Chat on Facebook and follow on Twitter! Betty and Tab ring in the new year by throwing caution to the wind and indulging in liquor candies! 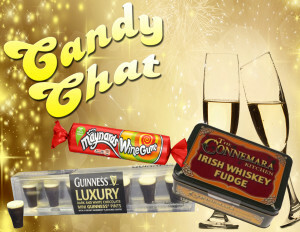 With the new year upon them, the ladies break out the liquor candies and try Guinness Luxury Mini Pints, Connemara Kitchen Irish Whiskey Fudge, and Maynards Wine Gums. How will these alcoholic treats actually taste? Will the ladies need to call for help or can their systems really take it? Find out how crazy things get in this episode of Candy Chat!